We came across this purely by chance towards the end of our week in Florence. 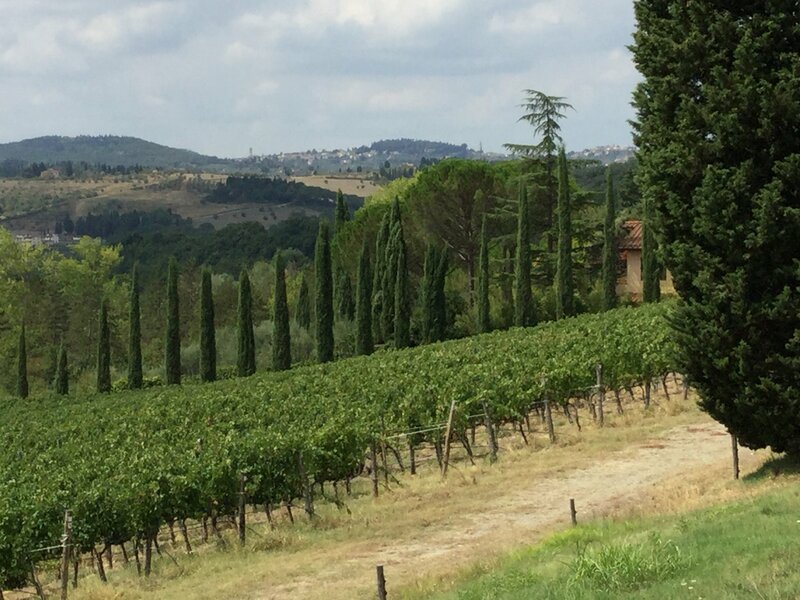 Florence itself was hot and crowded so we took our chance, booking through the information point in Piazza della Repubblica (which provided us with a significant next-day discount) and had a wonderful day out in the peace and quiet of Chianti country. This was also our first introduction to – and experience of – Florencetown. 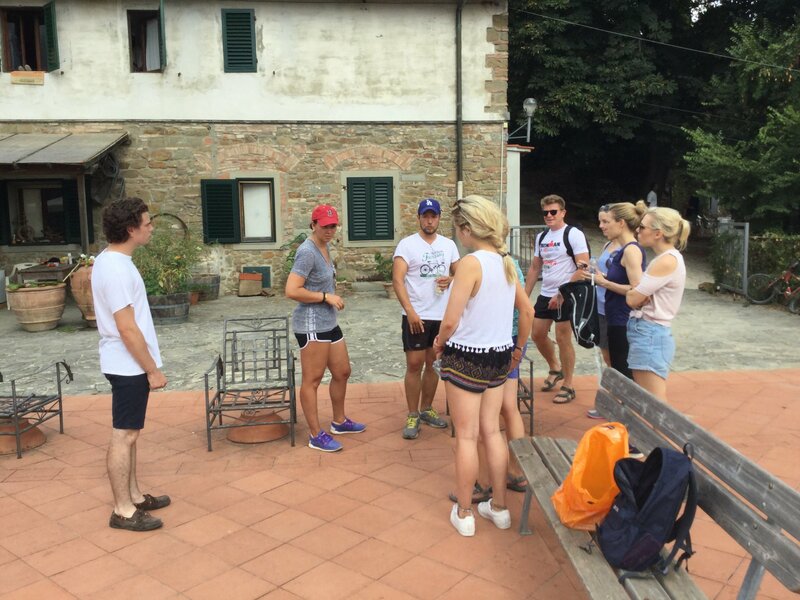 We were really impressed with the organisation, the tour itself and the friendliness of the company. Mateo and Elisa drove us to Florencetown’s headquarters, escorted us on our ride and hosted our late lunch on our return. 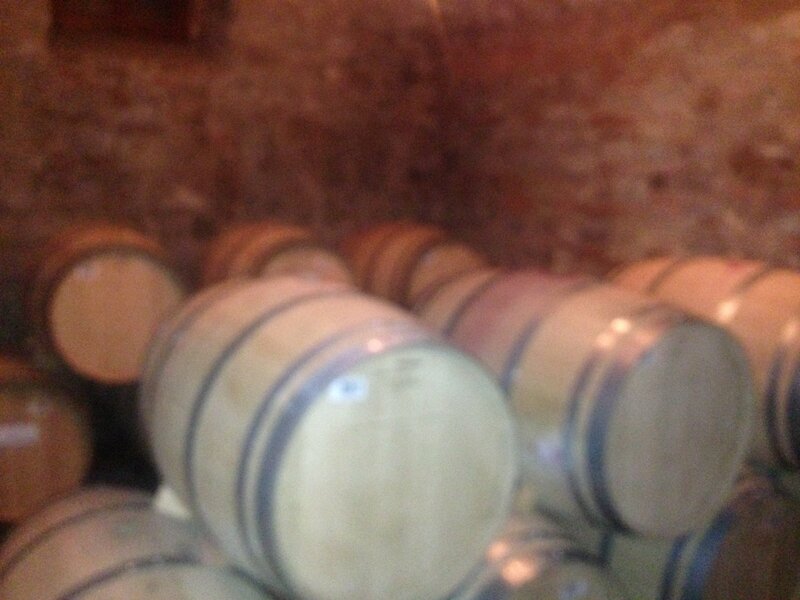 They provided us with five very fine Chianti’s to sample. We felt Mateo and Elisa were really committed to what they did, loved their work and loved their country and its wines, about which they were both knowledgeable and enthusiastic. The ride itself was just about right for most of us. 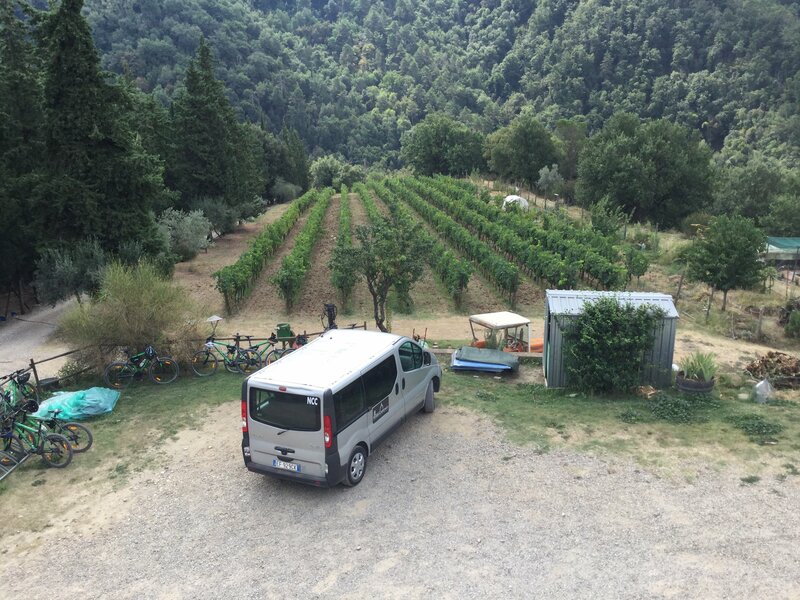 There is a steep and stony track at the beginning, leading to the first organic vineyard and this was a bit tricky at times. The remainder was road work all the way, some moderately challenging hills and some fabulous views. 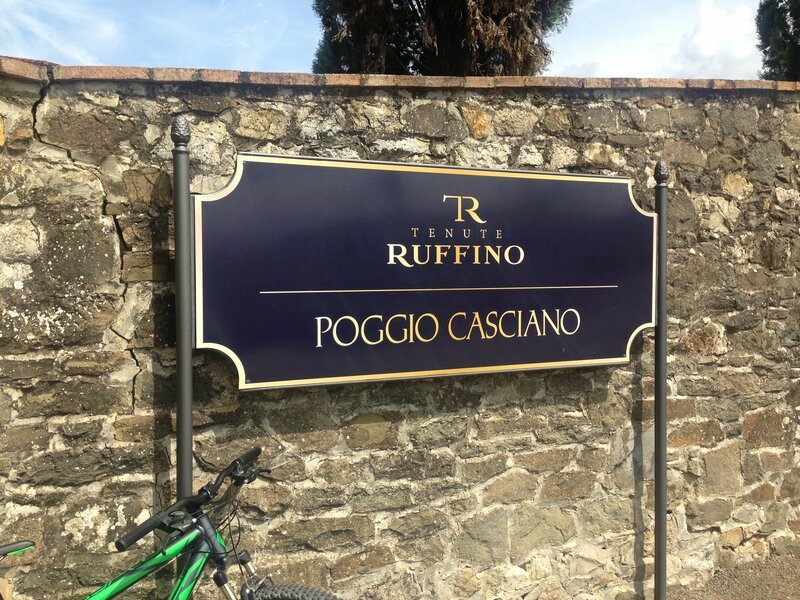 The second vineyard, the Ruffino estate, was a welcome opportunity to cool down during the tour of the cellars before the final haul back up the hill to Castelruggero and lunch. We all commented on the wonders of the Italian roads, which were remarkably free of potholes, unlike our roads here in North Yorkshire. You can see our route here. Four other travelers – from the US and Australia – joined us, an added bonus of meeting new people from new places. 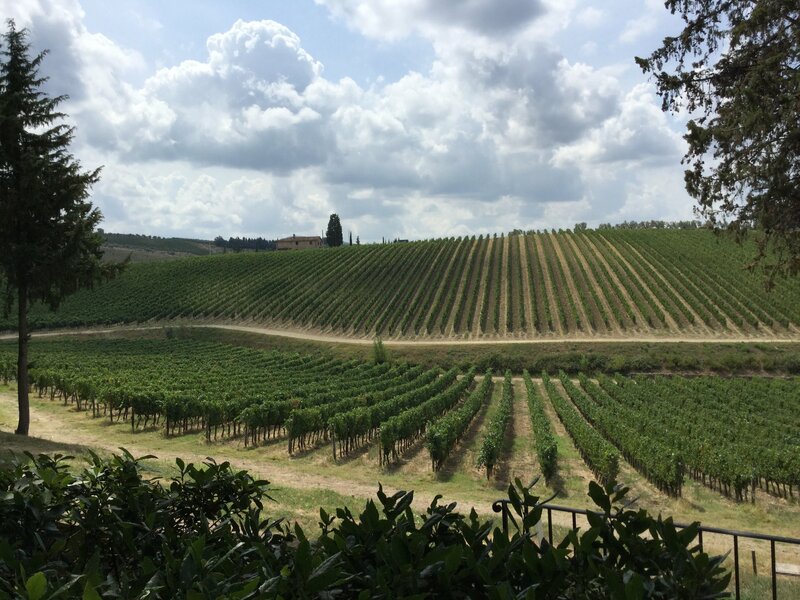 We exchanged notes over lunch in the Castle and agreed we had had a thoroughly enjoyable time and would have no hesitation in recommending the Chianti Country Cycle Tour and Florencetown. I doubt we will ever see our fellow travelers again; we wish them good fortune and happy memories if they ever read this.